La Pirogue hotel is made up of charming Mauritian bungalows that open onto the coconut grove home to more than one thousand trees and the magnificent white sand beach that fringes the turquoise lagoon. Colourful interiors warm wood and authentic thatch are key elements of the rooms of this 4 star Mauritian hotel. La Pirogue unique architectural style is inspired by the eponymous traditional Mauritian fishing boats. Everything here recalls the form of these famous vessels from the main building inspired by a white sail caught by the wind to the thatched bungalows built with local volcanic rocks. 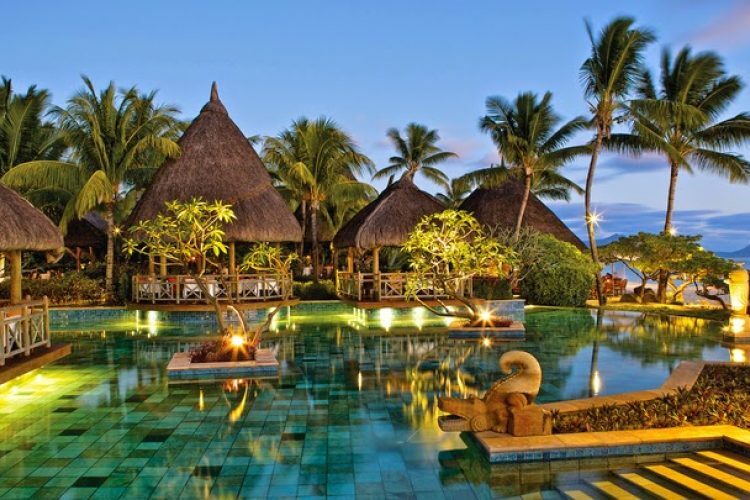 Whether you come for a holiday or as part of a group for business with family or on honeymoon in Mauritius La Pirogue affirms its status as a hotel that celebrates the sea. Please contact Hotel for Family and Children Policy. Largest Meeting Room Size: 3391 sq. ft. Went there for a work event and it included dinner. La Pirogue has been know as one of the best hotels in Mauritius for decades and it is living the its reputation fully. The staffs are professionals and the food was simply amazing. On a friday night, the entertainment is awesome and very lively. Very decent and happy experience. The food buffet was amazing. Try the pecking duck. Best place to relax on earth. Got everything from sports activities to WLAN. Great food and drink (don't miss tasting locally made rum!) Grandiosity of the place is easily matched by friendliness and warmness of staff and management - a paradise. Friendly and accommodating staff Clean and fresh accommodation Resort was always in show room condition Meals were fantastic and different themes were great The only two issues that I feel could be improved upon, is the welcome experience when arriving late at night. It needs to be less time consuming, as generally people are tired and just want to get to their rooms. The other is the shower pressure, which is too low. Great moment with the family. Kids really enjoyed pool and kids club activities. Variety of foods and excellent customer service. Special thanks to Avi. Excellent food from Chef Vishal at Magenta Restaurant. We appreciated each moment of our stay and we shall come back in December 2018. Congratulations to your friendly staff for their warm welcome. One of the best hotels I’ve ever stayed. The people there are so kind and sweet. Very small island, though. Not much to do as far as activities. But it’s definitely a wonderful place to relax and be around a nice group of friendly Afro-Indias... We took the bus down to their downtown area. Very nice! Love that children ride the bus for free during school hours. My boyfriend & I had a great time. The hotel is lovely, clean and spacious. Food was delicious. We paid for an all inclusive so we really did enjoy our stay... No shorts at dinner time for men. Well, at least when we stayed there. Just spent a week at this amazing hotel. 5 star service - nothing is too much trouble. My son had the wheel-chair room which was ideal for him and all the facilities were suitable for the wheel-chair. The food was incredible. We will definitely be back. Was charged 2500 for 2 double gin & tonics at the beach bar on first night. I was looking to buy a drink not the whole bottle (or even two). The wine prices in main dinning area were also far too high too. Either you've got you're cost base wrong or you're profiteering. For comparison I spent my second week in Mauritius at a Beachcomber resort which was fairly priced. It's a 4-star hotel and it's almost rightly so. The hotel is so big that if you're located on the edges, it's a long walk to the busy area - pool, restaurants and so on. It's very rare that you could see a club car around to ask for a lift. The lady did not appreciate walking the distance in heels for dinner. Room and amenities are good but we had the very bad experience of a noisy AC and had a very bad stay because of that despite the promise of it being fixed soon when we checked in. The food was amazing. The dinner buffet was the best I've ever had at any hotel in Mauritius. The breakfast is great... and with Champagne! One positive side of staying at La Pirogue is that you get access to all the activities, restaurants (on reservation), and especially the adult "quiet" pool of Sugar Beach Resort. Overall, we won't stay at La Pirogue again because of the noisy AC that was not taken care of as promised because we can't trust such staff again... But we'll probably try Sugar Beach which seems to have higher quality accommodation and better trained staff. Great place. Would recommend it to families with small children. Service is top notch. The only reason I gave 4 stars are the rooms/bungalows which in my opinion are little outdated and would need some refurbishment. All in all, a perfect place which I highly recommend. The service is excellent in all the hotel. The children’s club seems safe and fulfils our daughters (11 years) demands, breakfast is great, the dinner is delightful and relaxing. The room service is excellent. Everybody is friendly. When we left there was a misunderstanding about our late check-out, but your front desk crew handled it professionally and to our satisfaction. Well established hotel, located on the beach. Hotel staff cleans the beach every morning. Nice thatched bungalows spread out over a beautiful and well maintained park. Very caring staff. Lots of activities are offered all day long. Very good night entertainment. Buffet breakfast and dinner. Quality of the food is good for breakfast but average for dinner. More variety would be appreciated. Beach is nice but swimming is not really possible at low tide except with flippers. The Best Hotel in Mauritius. We have been back 9 times ,I think that says it all.Food 5 star.Staff 5 star .Gardens and rooms 5 star. This hotel has recently had an upgrade and has made huge improvements to the rooms ,restaurants and watersport facilities. Well done ! We will be back. Thanks again to all staff for an incredible holiday . It's a 4-star hotel and it's almost rightly so. The hotel is so big that if you're located on the edges, it's a long walk to the busy area - pool, restaurants and so on. It's very rare that you could see a clun car around to ask for a lift. The lady did not appreciate walking the distance in heels for dinner. Room and amenities are good but we had the very bad experience of a noisy AC and had a very bad stay because of that despite the promise of it being fixed soon when we checked in. The food was amazing. The dinner buffet was the best I've ever had at any hotel in Mauritius. The breakfast is great... and with Champagne! One positive side of staying at La Pirogue is that you get access to all the activities, restaurants (on reservation), and especially the adult "quiet" pool of Sugar Beach Resort. Overall, we won't stay at La Pirogue again because of the noisy AC that was not taken care of as promised because we can't trust such staff again... But we'll probably try Sugar Beach which seems to have higher quality accommodation and better trained staff. Very restricted behaviour allowed in the pool. Restaurant served the best meal between the two hotels, but there also was far too few courses in the all inclusive to eat here more than twice. Best bar between the hotels, they were attentive and fast! Housing looks nicer here but I preferred Suger Beach overall. Spent a beautiful and relaxing day with colleagues. Food was good, refreshing citron sorbet, nice staff. Overall, very good day. Our third visit to La Pirogue and as with the previous visits it was a superb experience. The management and all the staff always made us feel very welcome and keen to make sure we had an enjoyable holiday. Always friendly and professional in every way. The ongoing upgrades to the hotel are pleasing whilst retaining the unique features of the property which is crucial. All the staff work happily as a team. The dinner menu was excellent and changed daily with always a varied choice to suit all tastes. We shall return for another vacation. Location, climate and facilities were great. The beach was beautiful and the sunsets picturesque (every photo looks better with a palm tree in it). The rooms were bright and cool but the partition walls thin enough to hear most of what was happening next door. Housekeeping seemed a bit random in regard to the time of day they visited and soft furnishings (like our bathroom rug) could disappear without notice or reason. Similarly the evening turndown service only occurred on three of the seven nights we were there. Despite the quantity, the evening buffet was a little underwhelming and the emphasis was more on the guests palates than a representation of local cuisine. There was a very poor range for vegetarians (on Asian night there was only one vegetarian dish - even the salads contained meat or fish) . There didn't seem to be enough staff in the evenings and the service was a little chaotic - it was often difficult attracting someone's attention to get a drink or the bill. Breakfasts were much better, however, and there were enough staff to get you a coffee and set you up for the day. The evening entertainment was a little dated but fun if you wanted it. Unfortunately the proximity of the Entertainment Area to the Magenta Restaurant meant that if you were inclined to have a quiet meal in its romantic setting you were disturbed by the overwhelming noise. Also Magenta seemed unable to produce what was actually stated on their menu and even sent us elsewhere for coffee. We would have liked to have tried Citronella's Cafe but, although we knew you had to book in advance, were not told that it was so popular it was booked up four days in advance. The Spa Cinq Mondes at Sugar Beach was excellent. The staff were very friendly and it was a perfect place to fully relax. The biggest criticism of our experience was less with the resort and more with our fellow guests, specifically the parents who inflicted their children upon unsuspecting vacationers. We're not against children in any way but when we go on holiday it is to relax. This was hard to do given that most parents chose to ignore the Kids Club facilities of the resort and keep them with them at the pool, the beach and the bars, where they generally ran amok. Not so bad in the daytime perhaps, when you could move a little further down the beach to a quieter spot (that was still serviced by the cocktail wagon) but the evenings tended to be spoiled. For the duration of the (7pm-10pm) evening meals there was barely a moment when the sound of a crying baby or tantrum-throwing toddler couldn't be heard in the buffet. Getting your food involved navigating around prams and buggies, avoiding abandoned toddlers and dodging racing children. I don't blame the resort for this but it is a factor that should be kept in mind if you're wanting to escape somewhere to relax. The buffet selection for breakfast and dinner was awesome and meal times were a real treat with an incredible selections of food choices. The deserts at dinner were the best. The chalets are set in stunning tropical gardens with the backdrop of views of the sea. The catamaran day excursion was something that nobody should miss as well as the excursion to the Pampalmoose Gardens and the market at Port Louis. Beautiful beaches with warm water. The nightly entertainment was a highlight of our stay and added to the ambiance of the resort. We had an amazing holiday and will definitely be back. Nice hotel, sometimes the service personal at the bars are a little slow. But all in all it it was one of the best holidays ever. Thanks La Pirogue. Had the most incredible two weeks here, the staff were the most friendly I have ever found and I am well travelled! The rooms came with amazing amenities including a powerful hairdryer and big bottles of shampoo, conditioner and shower gel which is rare! The food at all restaurants were amazing but I would definitely recommend all inclusive as if we had not been, each meal would cost more than £300! This is the one place I would go back to without a question! I loved to have been in La Pirogue . It was a wonderful environment, very calm , full of energy, well organized and completely clean. I loved also the shows. have been there in the early 80, and again before X-Mas 2016. The Hotel and its beautiful Garden is still worth to come back again. Didn't stay but had dinner. Staff very friendly but food underwhelming especially if you take the price into account. Warm welcome and a pleasant atmosphere here. I recommend you the Paul et Virginie restaurant because I had an amazing moment and the food are really tasty and well presented. One of the very first hotels I stayed at in Mauritius in 1990. Nice to take a Sunday stroll from Flic en Flac (about 2 kms) and have lunch right on the beach. You just have to get through the security procedures, self understanding, an enjoy the day there. Good spot for Water Skiing. Special and unique resort as the bungalows are shaped like the small fisher-boat 'pirogue' and hidden between the palm trees. Very green site indeed. As the these are bungalows with max. of two parties ( superior bungalows and interior ) you will not get in trouble with noisy neighbors. The pool is excellent and somewhat colorful decorated with plants and flowers. The tiles of that pool are in different colors, which makes it even more appealing. Rich buffet - especially diner - with frequently changing the 'cuisine-theme', so you don't get bored in always having the same stuff on the plate. Asian, Indian, African European food .... to name a few. The staff and services are very friendly. I have spent a nice wedding and honeymoon in La Pirogue and am glad to recommend it any time.